This Mortal Coil by Emily Suvada: This was by far my favorite read of the month, an experience that was heightened by the SQUAD coming together for this buddy read! It’s been a long time since a book has set my soul ablaze, leaving me anxious to devour its pages but wanting to savor every word. I loved this book with every ounce of my being: this is the epitome of why I love the science fiction genre all wrapped up into one. Fantastically written with masterful exposition and worldbuilding; the characters are complex, scarred, and so perfectly human. 📖 Read my full review of This Mortal Coil here. * The Sorrows by Jonathan Janz: Another winning read from one of my favorite horror authors! I enjoy that Janz juxtaposes supernatural horror elements with the horror and depravity of the human condition. I also appreciated the many allusions, implicit and called out, to the work of Edgar Allan Poe. 📖 Read my full review of The Sorrows here. These Precious Scars (Mortal Coil # 0.5) by Emily Suvada: This was an enjoyable, fast-paced, and brief read into what I think is approximately seven years prior to This Mortal Coil. This novella doesn’t really add anything to the story and isn’t required to jump into This Cruel Design, but it does provide a glimpse into the experiments. Pitch Dark by Courtney Alameda: I was completely sucked in on the first page and captivated until the very end. There are so many different layers of complexity here and Alameda crafted a really good book. The writing style flows well and this is an excellent combination of the horror and sci-fi genres. The technology included is really interesting but doesn’t overtake the narrative either. If you like infection/mutation science fiction stories, I definitely recommend this book to you! 📖 Read my full review of Pitch Dark here. * The Gilded Wolves by Roshani Chokshi: I am a sucker for historical fantasy, and this book delivers an action-packed story with a diverse cast of characters that I treasured with every ounce of my being. A secret society that pulls the strings of society (Illuminati?!)? Hunting for artifacts? Magic and technological invention when the world was on the cusp of Industrialism? Heck. Yes. If you are in the mood for an adventure with a precious found family, this book might be for you! 📖 ARC Review to come! Asylum by Madeleine Roux: This was a fast paced, enjoyable read. Unfortunately I found the plot predictable, unbelievable, and I saw the bad guy coming from a mile away (aka the first chapter?). 📖 Read my bullet-point review of Asylum here. The Cry of the Peacock by V.R. Cristensen: This was a re-read for me to get rid of my reading slump. This is a historical romance story where the girl winds up having a choice, something that I appreciate. * Night Shift by Robin Triggs: This is a plot-driven whodunit mystery with some underdeveloped science fiction elements (which is a shame because I was REALLY interested in the world). I enjoyed this story, which is a spin on the And Then There Were None motif of a group of strangers are isolated from the outside and are picked off one by one. 13 people are working in Antarctica for what is known as the night shift: a six month period where the sun doesn’t rise and inclement weather isolates them completely from outside help. 📖 Read my full review of Night Shift here. Pretty Little Liars by Sara Shepard: I finally did it, I have succumbed to reading the series! It is honestly so weird to read the book for a TV series you were very invested in and picked apart for clues (before you realized that the writers had no clue and it was wasted effort). This is a light read but enjoyable, and you can tell that the story and mystery have been plotted well. This is a young adult book that handles some sensitive topics and also captures the feelings of being in the awkward teenage years. Confessions of a Queen B* by Crista McHugh: This was… an experience. For some reason I nabbed the eBook for free when my friend Soph posted it into the Discord server. I was struggling with my current read and picked this up. It’s a light and fast-paced read, but not really enjoyable for me. I didn’t like the main character, who was just as vapid and self-centered as TifAni in Luckiest Girl Alive, but she does experience some character growth that was nice to read. This just wasn’t the book for me. Shruti’s post The Crimes of J.K. Rowling: Why won’t she leave the Potterverse alone? is a really well written example of how we can love the art but not the creator. 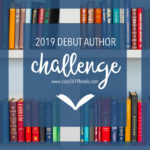 Kat @ Novels and Waffles’ post Why I Still Read YA in My Mid-20s: A Call To Action Regarding New Adult Books offers a fantastic perspective on why adults still read YA that really resonated with me. Siobhan shared a list of Books with Nonbinary, Genderfluid, and Trans Characters that you should check out! Gayathri @ Elgee Writes has a useful post on How to hide Pinterest images from your post in her blobbing solutions series. I had a wonderful time during Sci-Fi Month! I didn’t read as much sci-fi as originally planned, but I really enjoyed what I read. Thank you everyone so much for visiting, liking, commenting, and sharing your bookish thoughts with me! I hope that you had a fantastic November, and I wish you happy reading this December! Thank you so much, and I was REALLY LUCKY to not have any bad reads last month! I hope you have happy reading this December, love! Thank you so much, and I hope you have a fantastic December as well! Thanks for stopping by! Oh goodness! There are some great community posts on that list. I need to set aside an hour to read all of them. Looks so interesting! There honestly were SO MANY amazing posts last month, and I am so mad that I didn’t save all of the links! I love how beautiful your posts look and how nicely laid out they are ❤ What video games did you play? Oh gosh Avery, thank you so much! This means a lot coming from you because I absolutely adore your blog’s aesthetic! Mostly I played Stardew Valley and a bit of Subnautica last month, but I did spend a couple of days re-playing Dragon Age Origins for the tenth time, because Alistair. Omg sshhh no. I was thinking about how I wish mine looked more like yours haha! I have been playing a bit of DA:O again and branching out on my typical conversation choices with Alistair… and he is swooning me all over again. My heart. I am going to be his queen this time, damnit! Honestly I don’t know why or how he is so perfect, but literally that is the embodiment of who I want to marry in video game form. Are you planning on romancing anyone else this time around? I think I romanced Morrigan once… but I don’t know if I went all the way on that or not. Hmmm. Oooooo forever you will be cold, Kal. Much approval from the Sophia. Then again, I like blue so I’m biased already. Wow. TEN BOOKS after a ten day reading SLUMP. You go, Kal. You go go go. Also I think we’re plotting a buddy read with an ARC some point next year? Did we decide which one it was, etc. etc? Wait why am I forever cold? Emotionally? Physically? It was like 31 when I biked in this morning and I wished I had gloves. I know I am actually really surprised! And we DEF need to do a buddy read but I am not sure if we picked a book yet. We need to change that! You’ve read a lot of wonderful books in November! Thank you so much, Manon, and I hope you have a great December as well! Lovely wrap up, doll! I’m glad you enjoyed so many of your reads! You’ve truly made me want to read The Mortal Coil SO BADLY, and I can’t wait to read the Gilded Wolves when it releases! Thank you so much, Kelly! I was blessed with some excellent reads last month…and PLEASE READ THIS MORTAL COIL AS SOON AS POSSIBLE. The Gilded Wolves was also a treasure, and I can’t wait for everyone to be able to read it! Happy reading this December, sweets! Congrats on reading 10 books this month Kaleena!! I’ve heard such good things about The Mortal Coil that I really want to read it now 🙈 I also love that you read Pretty Little Liars. I definitely agree with your rating because I thought it was a fun read. It’s interesting to see how it is after you’ve watched the show. I think I stopped watching after the 3rd season? and stopped reading after the 12th book because I just got too frustrated and wanted to know who A was! Thank you so much, Tiffany!And PLEASE PICK UP THIS MORTAL COIL. I legit want everyone to read it. I finished book 4 in the PLL series last night, arc one is done! It was really interesting to read the books after obsessing over the show for years. I actually was so into it that I had a notepad of clues and theories! But after season 2 or halfway through 3 (I don’t remember when, but the Ezra stuff) I realized the writers had NO IDEA what they were doing and weren’t laying clues or anything. I was so mad honestly, but I spite finished the series. Honestly you didn’t miss much. re: the books – wasn’t it originally going to be an 8 book series? Why are there 16 books? Holy hell. 10 books, with a 10 days slump. I swear wonder twin you are literally GOALS. and not to mention that all of them are 4 OR MORE STARS. The reading Gods are on your side young one. wow. a time. Thank you, Wonder Twin! I was definitely blessed with reading last month that’s for sure. Happy reading this month, sweets! I’m happy that I’m not the only one who have found Asylum predictable. And I wasn’t scared at all. I forgot I even read that book, which honestly isn’t a good thing! I have the entire series in paperback so I should just read them all so I can donate them to my library, but I am hardly interested right now. At least they are super fast reads! It’s difficult to find a really good horror book, and it’s a shame because the covers of this series are really scary.